Uniquely decorated in a blend of European and Indian themes. King size bed with the option of an extra single bed. 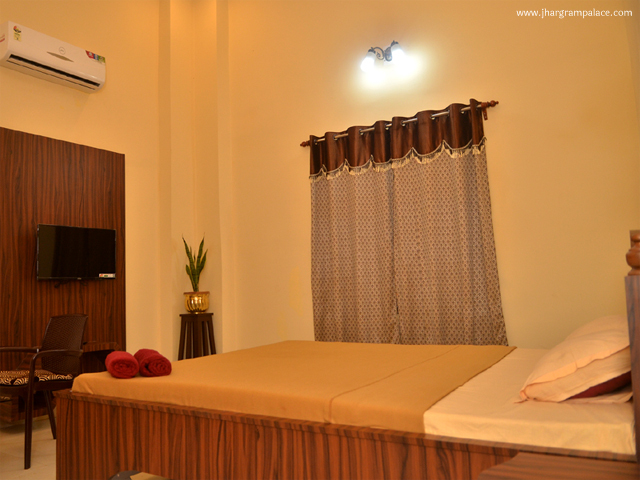 The rooms have high ceiling and windows face to a lush garden. 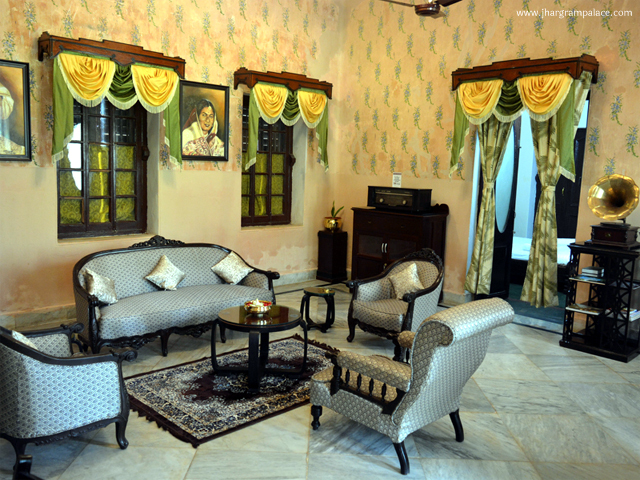 The Royal Guest House is a part of the Jhargram Palace it has been a host to several dignitaries from the British Viceroy of India to the Governor and Chief minister of West Bengal. 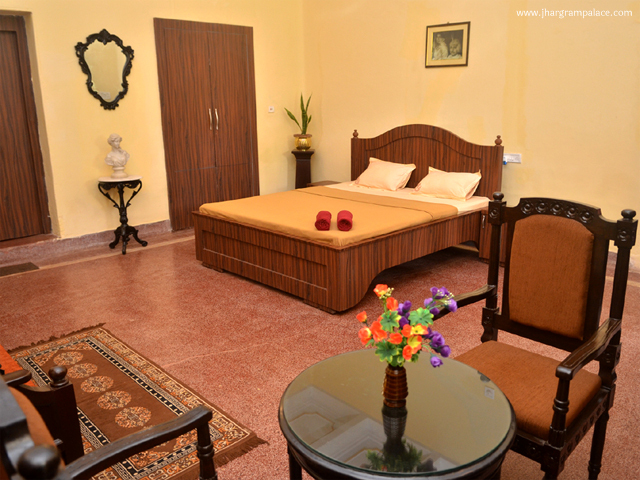 It offers 2 double bed rooms with a common drawing room. Uniquely decorated in a blend of European and Indian themes. 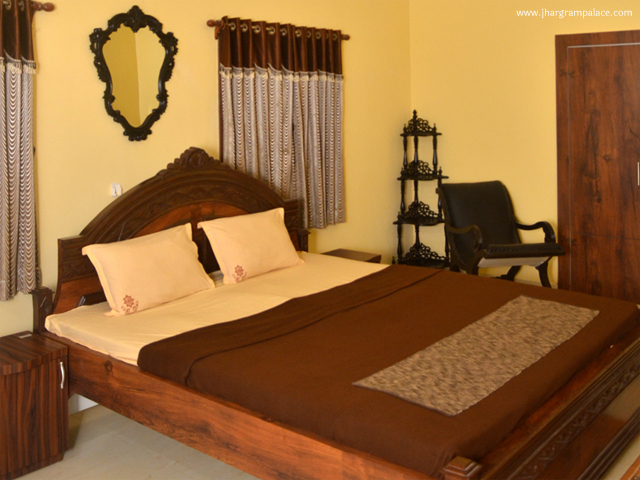 King size bed with the option of an extra single bed. 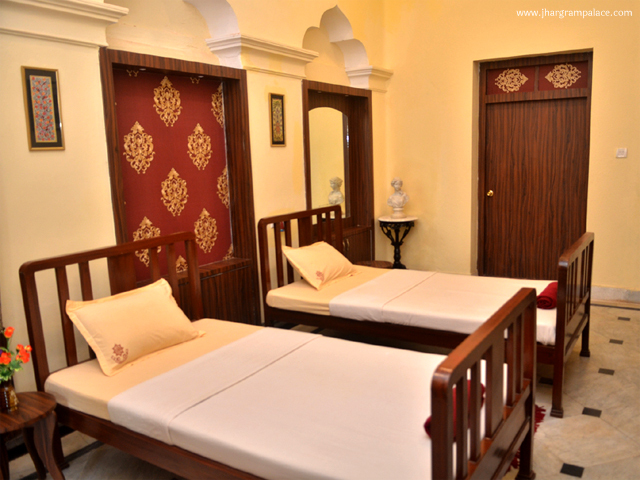 The rooms have high ceiling, windows and door face to a lush garden and the main fountain. Feel at home in one of our spacious executive suites. Relax in the heritage design room featuring marble floors to big windows, neutral walls and a mix of art deco and traditional furnishings at artworks. Unwind in your own privacy or step outside to your secluded floral gardens and lawns. Uniquely decorated in a blend of European and Indian themes. 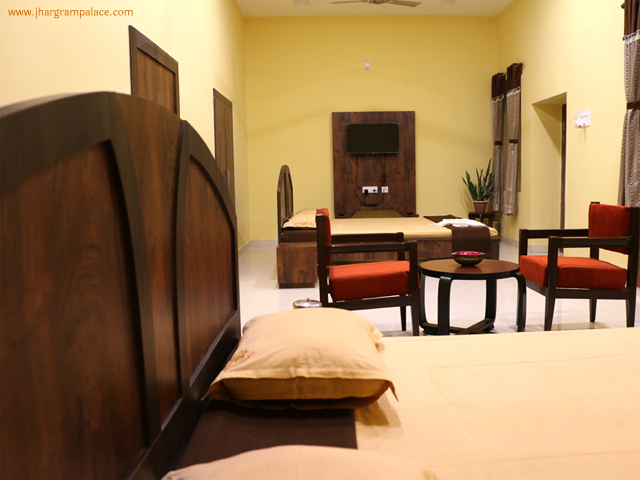 Twin beds with the option of an extra single bed. The windows and door face to a lush garden and the main fountain.